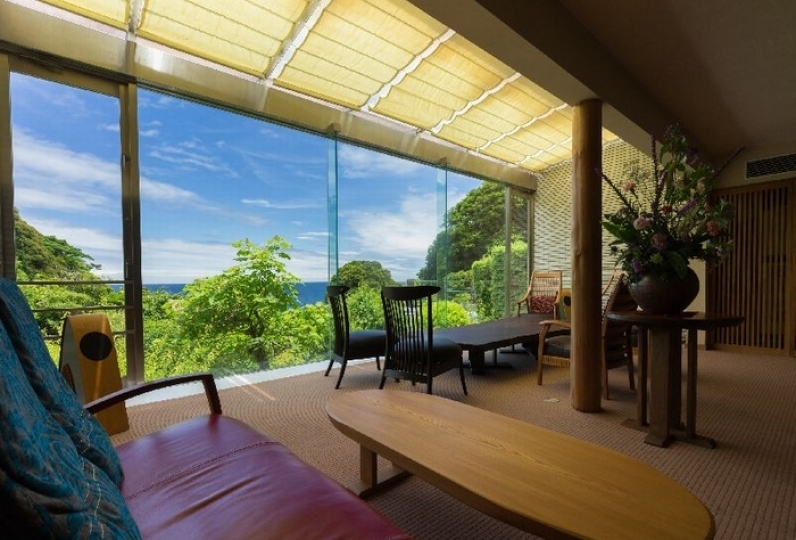 "Rokan Suiko" is a Ryokan located on a high ground with a view of the scenery of the sea of Atagawa from all of the guestrooms. 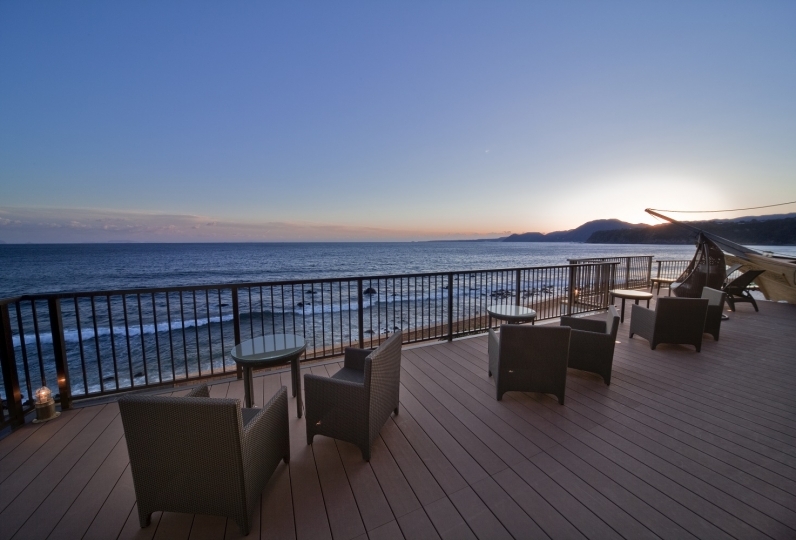 Enjoy the large panorama view of Sagami Bay and Izu Oshima that can only be experience at Suiko, which is located on high grounds. 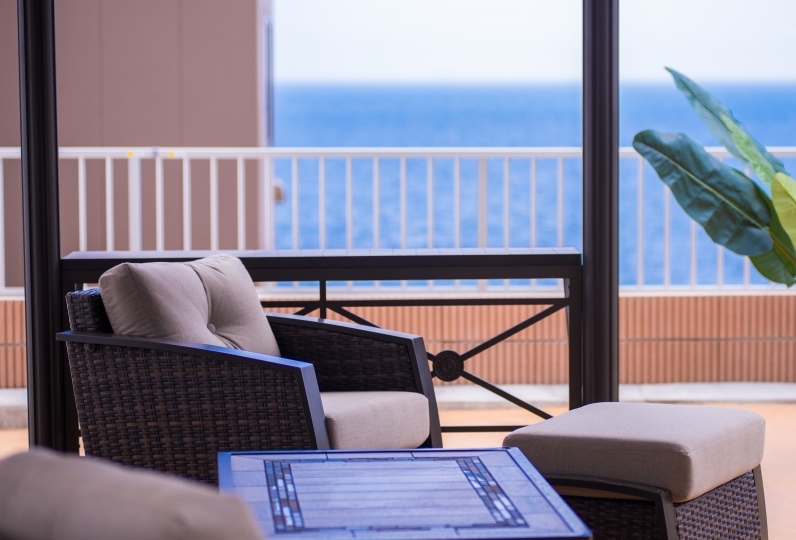 There are a variety of rooms to meet your vacation style needs, such as special rooms with an outdoor spa or Japanese style rooms. There are more parts of the hotel than the beautiful scenery that can be seen from high ground. Experience a blessing, luxurious time bathing in the homemade hot spring that can only be provided here. Enjoy bathing in your preferred type of bath, either the public bath with an outdoor spa or the private outdoor spa. The meals that are served, cooked with fresh seafood, will make your vacation even more memorable. Please enjoy the taste of the local seasonal ingredients through the carefully cooked dishes. 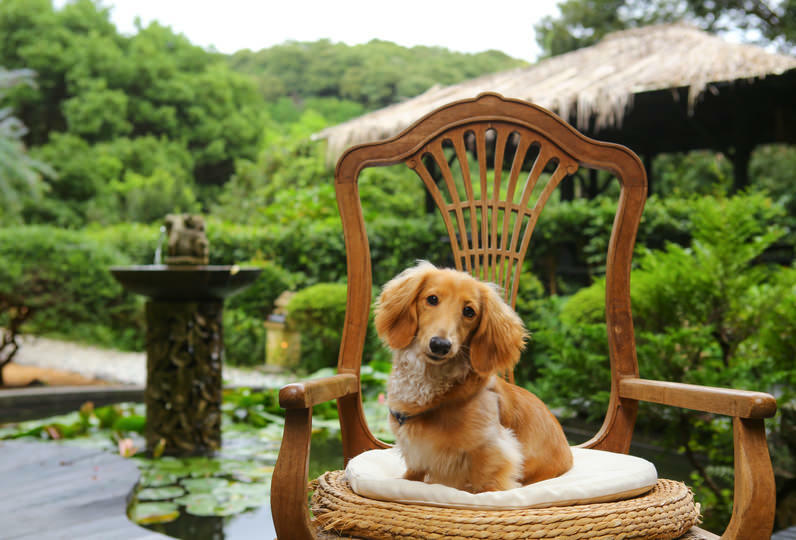 The hospitality, which is everywhere in this Ryokan will make your day even much better. We hope to serve in order for our guests to forget about daily life and to relax and make themselves rest. The hot springs are clean, the breakfast and dinner are rich and delicious, and the hotel waiters are very nice and thoughtful. thank you for helping me. Dinner was very delicious It is too much to eat I am sorry. The breakfast was also very delicious. I was satisfied with the general aspect A kettle boiling in the room, If you see inside trying to drink tea The red water scrub is stuck firmly I was shocked. Thinkingly throwing away all the hot water I wiped it off with tissue. Although I could not remove all of them, Because it is an item to put in your mouth I wanted to clean it. I'm sorry. The people of the staff were also very nice, the facilities were clean and could be relaxed. We also corresponded to the surprise of the birthday and prepared a nice cake. I definitely want to use it again. A Japanese style restaurant with an "Ocean View" from a high ground. 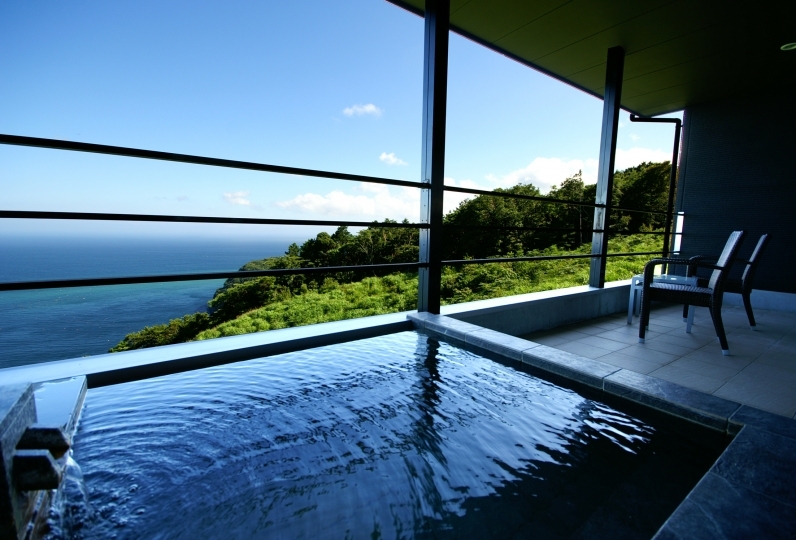 You will be able to gaze out at the ocean of Izu, and you may be able to see Izu Islands or Boso Peninsula or Miura Peninsula if the weather is nice. Please enjoy the moon road that stretches out from the sea and the morning glow in the morning. 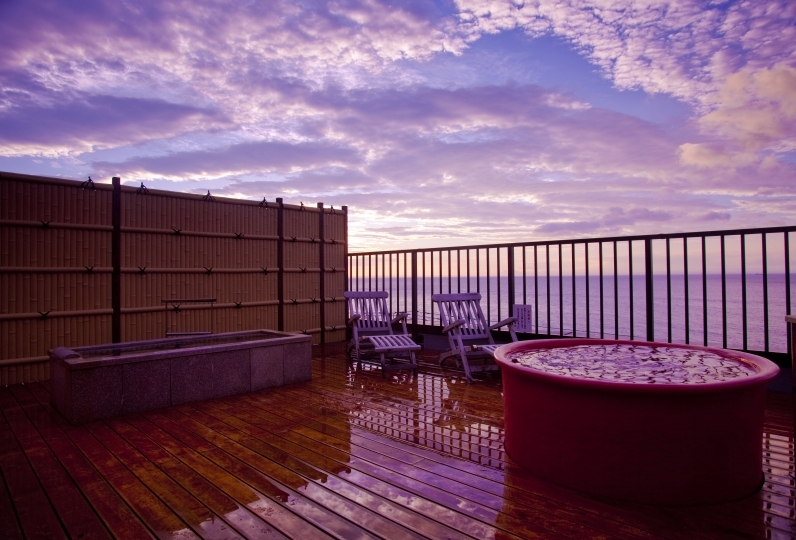 Enjoy the scenery from the bath located 70 mins above ground. Popular Private Outdoor Spa where you can have the view all for you. Please make your reservation upon check-in. 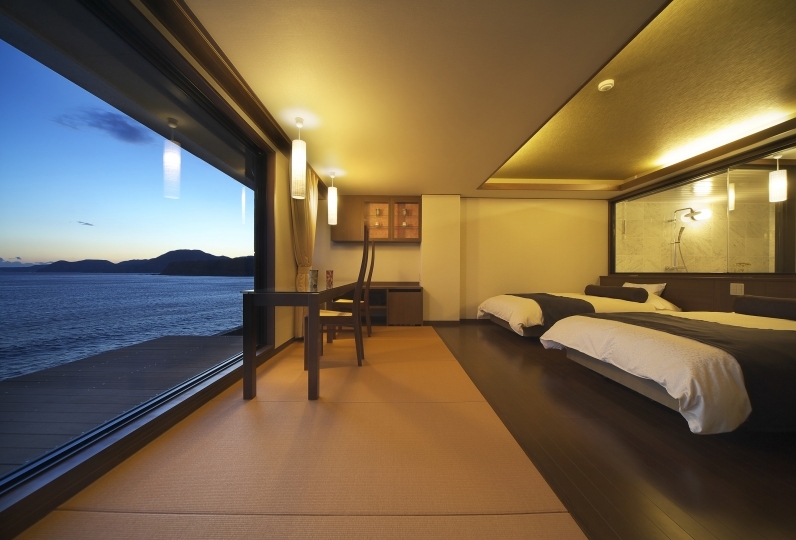 From the Ryokan with the best view in Atagawa, you will be able to see the beautiful morning glow and the moon road. On sunny days, you may be able to see Izu Oshima, in winter, the fishermen boats, and the fireworks in the summer or the winter. Izu Peninsula which is surrouneded by Sagami Bay, Sagami Nada, Sunga Bay and Kuroshio Current is a treasure of seafood. There are many crops from the mountains as well. Please enjoy the delicious products of Izu as much as possible. 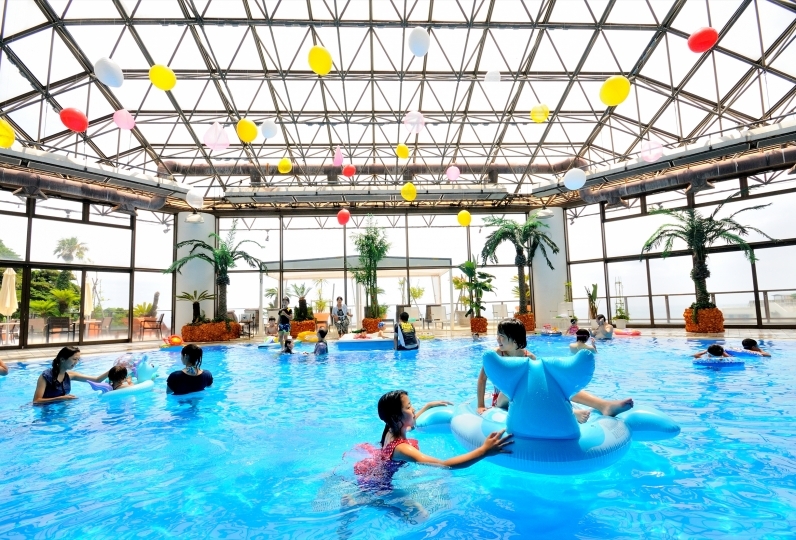 There is a public bath with outdoor spa and 2 private outdoor spas inside premises. Other than that, there is a table tennis table, karaoke box, game area, bar, beauty massage and free massage chairs etc. Please have a fulfilling stay. ※We will not be able to serve dinner after 19:30. Even if we are not able to serve your dinner, your fee will be the same as the plan you made upon reservation. ※We do not accept credit cards for beauty massage fees. ※This plan is for guests from 2 people. 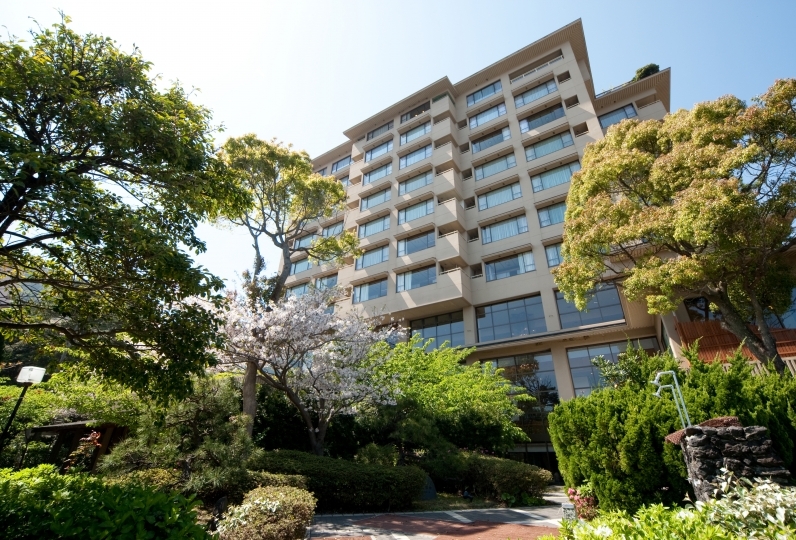 ※We may make a phone call to you in order to check about your reservation. If you do not need a phone call, please let us know beforehand.